The simple fact is Queensland is the best state to be a professional detailer…never too cold and fantastic for people who love to be outdoors and meeting new people. One of our franchisees has even built a spot for his surf board so that he can take every opportunity to enjoy his hobby whilst still operating a very successful business. With a small select group of existing Car Care detailers there is plenty of work to go around and lots of opportunities to expand and grow your business. Daniels first business was a riverside cafe in a leafy Brisbane suburb. Whilst the business was successful it turned out that hospitality was not for him and moved into business sales with LINK business. It was there that he saw the Car Care opportunity and liked it so much he purchased the master rights to Queensland. He has great plans to develop the business right across the state. My name is Brenten Uren, my wife Sandi and I own and operate the Car Care Herston franchise. What attracted me to Car Care was the van being able to carry water on-board and have my own power plus the ability to make a decent amount of money. I am a one man show. 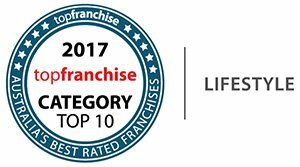 I own, run and work this franchisee on my own and have been doing so for 15 years now. Having a sales background has helped me with up-selling but it’s mostly about the little things – I am always on time, both my vehicle and myself are always extremely presentable and I am always cheerful to my customers. These attributes helped me build a successful business. The financial rewards and being in control of my own destiny has been the greatest reward for joining Car Care. Building a successful business has enabled me to achieve the material things in life that are important to me. Before joining Car Care, I worked in the Sports Industry as a professional Rugby Union coach both in Australia and overseas. I have had a great journey coaching in the English Professional Rugby with the Leicester Tigers, Super Rugby with the NSW Waratahs and at Test Match level with the USA Eagles, Indonesia and the UAE. My most recent role was with the United Arab Emirates Rugby Federation. My work experiences are in starting with raw products and developing finished products. I see this as similar to car detailing in that you see a result at the end of each job. Each vehicle is different and presents unique challenges as does coaching a sports team. The support on offer from Car Care, both in a technical and a business support sense was what attracted me to running a Car Care business. I was also attracted to the fact that I have the ability to control my own working hours, allowing me to make choices as to how time is balanced between work, family and my bucket list. My name is Kristian Waugh and I own and operate the Car Care Caloundra franchise. I had been working with the existing owner of the business and when he wanted to sell in 2007 I decided that I wanted to own my own business and that I could do this! I had previously been working in a wholesale stock and produce business and before that I had been employed in a whole range of jobs, from hospitality to retail management. By owning my own business the harder I worked, the more money I earned; I wouldn’t be limited to a wage, with the profits going to someone else. I also wanted to work my own hours as my children were in primary school and my wife also worked and was unable to be home for the children so I became the “after school care” parent. Early morning starts didn’t worry me. The kids are older now so my working hours have changed – this business allows me to do this. Hearing people say “Wow, it hasn’t looked that good since the day I bought it!” or “I don’t think I want to sell it now” after the car they were going to sell has been detailed and they see how great it still looks is what I like about my business. Since becoming a Car Care franchisee my most memorable moment was having the opportunity to drive 2 Lambourghini’s that I was detailing! I purchased an existing Car Care business in May 2015. I chose an existing business over starting my own business as I could see the value of the support available to me after the sale went through. The training was everything I was told it would be and to date the support from the office has been excellent. Prior to buying this business a large part of my life has been in the transport industry, truck driving and operating forklifts as an owner/driver. I spent some time in sales and management before turning my skills to watch & shoe repair, engraving and key cutting. More recently I have been working in the oil and gas industry, living remotely in a fly in fly out situation. I was attracted to this business because, being self-employed, I would once again be in control of my own destiny. Being able to work locally and to be home with my family every night is also important to me. Hurry and jump on board with a new Car Care franchise in these up and coming development areas. Get in while you still have chance!